Your home is a very important place, and it is a big investment. Buying a home shouldn’t be taken lightly; if you rush in, you never really know what you’re getting. You want to find a safe, stable property, and to do that, you need to inspect a home before you buy it. Before you commit to buying a new home, you need to inspect the whole house, including the plumbing. Narrow Path Plumbing recommends having a professional inspection, as they will know precisely what to look for and will be familiar with common problems found in homes like the one you are thinking of buying. 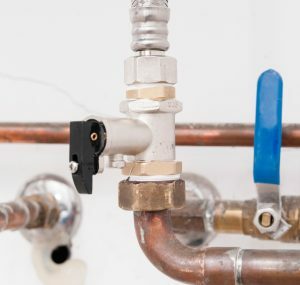 Many people, however, like to do their own inspections, and if you are one of those people, the following are some things you should look for as you inspect your new home’s plumbing system. Older homes may have lead pipes. While lead certainly is useful, it is a known toxin, so lead pipes are something you should avoid, especially if you have children. Having lead pipes may not be a deal breaker, but before you sign on the dotted line, you should find out how much replacing the lead would cost. You want to find the property’s shut off valve to the water supply; this is something that can be replaced, but it is better if this is in good working order. Normally located by the water meter or where the water line enters the home, you should turn off the water completely using the valve. After the water is supposed to be off, go around the home, turning on taps; if any water comes out, this is one more cost that you need to take into consideration. You want to inspect the hot water heater; if it is old, in poor condition, or has other issues, it could mean an expensive replacement or repair that should be taken into account when bidding on the home. When inspecting the hot water heater, look for mineral deposits, corrosion of the tank or any parts, and other warning signs that the tank needs to be replaced. For most people, having good water pressure is important, and the size of the home’s water pipes help determine this. Look for larger pipes of .75” to 1” at the main source. Other pipes should be .5” or larger. Anything smaller could restrict flow, and this is something that could be prohibitive to replace. Sewage problems are smelly, disgusting, and expensive – all in all, you do not want your new home to be afflicted by sewage issues. Before you buy, find out what kind of sewage system the house is equipped with. If there is a septic tank, you should find out where it is, how big it is, where the lines run, and when the last time the tank was serviced or emptied. Inspect the area around the tank or at the lines, keeping an eye out for standing water, bad odors, or other signs of seepage. Since septic tanks and the problems they cause are incredibly costly, this is something you should insist on having fixed or receiving a very deep discount for before finalizing the sale. Look around for leaks. Leaky pipes and fixtures may just be a small issue, or they could point to much larger problems. Look at all faucets, checking for leaks or drips. Check out under sink areas, and inspect any exposed pipes you can find. Also, inspect the toilets, looking for water around the floor or for heavy sweating on the tank; you will also want to flush them, to see if they empty correctly and then fill up again completely. These are just some of the key things that will help you inspect plumbing before buying a home. Monitoring water pressure and temperature also is important. You should also listen for any noisy pipes. In order to get the most comprehensive inspection and ensure that your home is indeed a good investment, hiring a professional may truly be your best bet, as they will know precisely what to look for, and will be better at diagnosing problems that could put your new home at risk.